The Best Luxury Coach You Will Find in Denver. 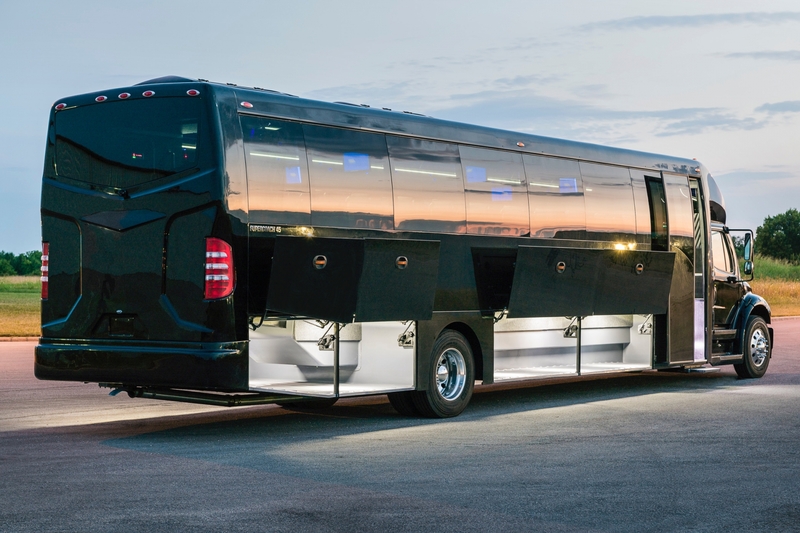 Here at Sunset we’ve been running luxury coaches, party buses and limousines for almost 30 years. We thought we’d seen everything. Even so, this vehicle blew us away. The quality of its furnishings and facilities is, quite simply, in a league of its own. If you’re looking for a way to move many people without sacrifing luxury and prestige, this is the Denver charter bus that you need. All luxury seating. A full multimedia theater system. Even a hardwood floor. 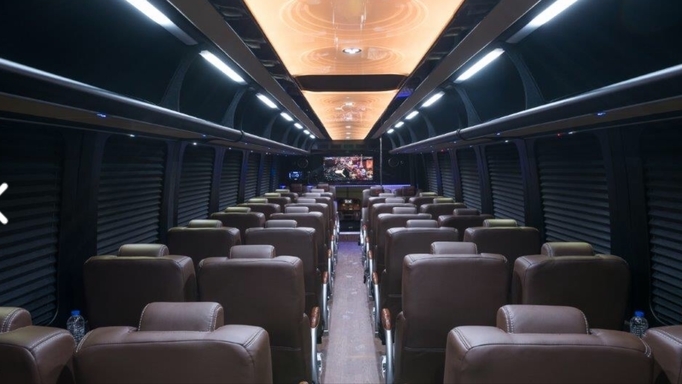 You may just choose to have your conference inside the bus itself. 450 cubic feet of storage: enough for everyone and more. 20″ European-style reclining captain seats. 3-point seatbelts on each seat for safety. Professional surround sound theater system with 8 large screens. USB charging station at every seat. Are you looking to make an impression? Do you want to reward your hard-working team by showing just how much you appreciate them? 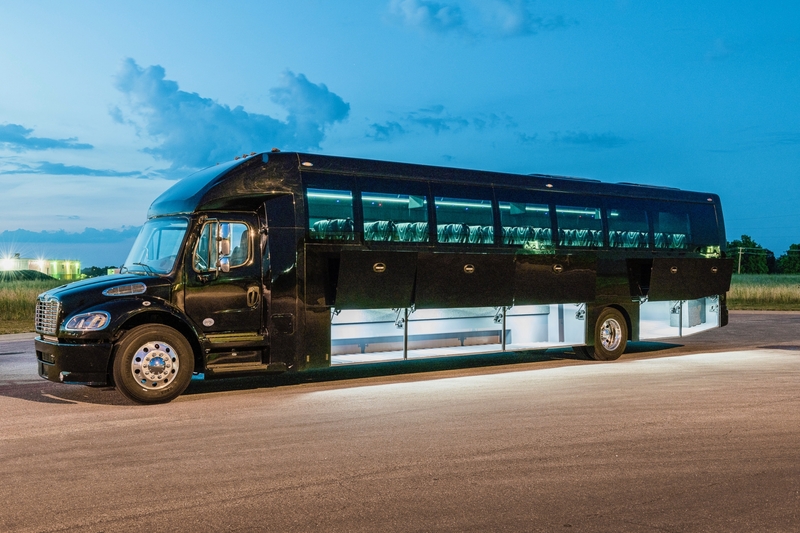 Or, are you simply looking for the best luxury coach charter in Denver? This is it!